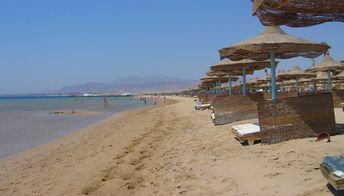 This beach ranks #6 of the "Best beaches in Hurghada"
The town has several beach hotels and a few cheap guesthouses. Fly to Hurghada International Airport. Next hire a taxi. The weather is comfortable all year round on the coast of Safaga. The best time for kitesurfing is a period of strong wind from June to September.